My GPU [512MB NVIDIA GeForce GT 640M] supports CUDA and has a 3.0 compute capability (more than the minimum of 2.0 required by Blender). My 640m GPU is very weak, and should certainly render slowly. 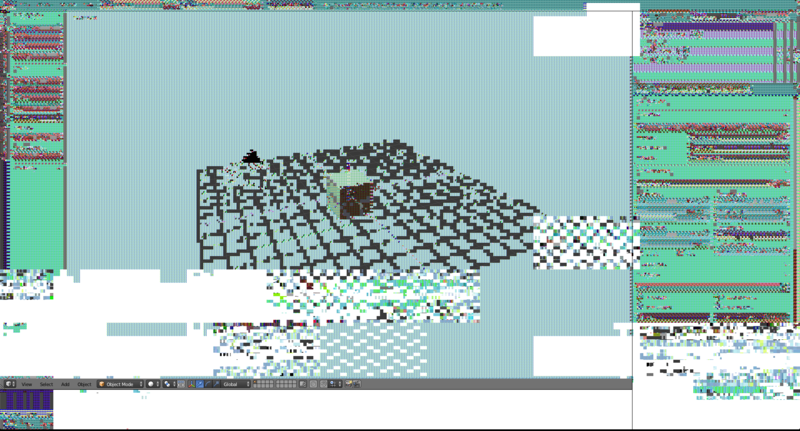 However, it fails to render anything, even the just default cube, even just the default sky with nothing else in the scene. I don't understand why this is the case. After getting the same error a few dozen times, one instance "succeeded"–that is, it didn't throw an out of memory error! ...and gradually brought my computer to a standstill until it rebooted itself. Any advice or suggestions for things to try will be greatly appreciated. CPU rendering gets very tedious very quickly, especially for complex scenes. If 90% of my VRAM is being used by Blender window rendering + system stuff, that leaves 51.2MB free. A fresh-from-reset scene has a memory footprint of about 10MB (according to information panel). If I take the error to be accurate, that means the memory footprint of the scene in VRAM is about 5x the normal scene memory footprint, which sounds crazy, but certainly possible. retaking this now. I am using a NVIDIA GeForce GT 640M 512 MB (not the best, I know) in an iMac (21.5-inch, Late 2012) running OSX 10.11.5 (15F34) El Capitan. With CUDA version 7.5.27 and Blender 2.77a. I was struggling to render an empty image using GPU and CUDA. When I saw @cegaton suggestion: Reduce tile size. 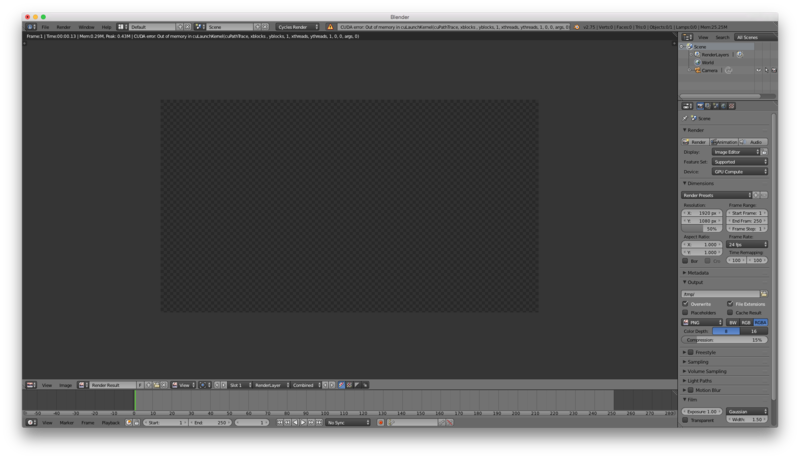 It made an empty image render with GPU. Maybe is the most we can do with it, but at least, we can get something. I was using X:64 and Y:64 tile size, and moved to X:32 and Y:32. If I find anything interesting, will post back. But maybe this is the limit. Hope it helps. Cycles CPU rendering - running out of memory - why?